Horses provide all of us with an opportunity to be excited and passionate about a sport that is both athletic and emotionally engaging. They help teach responsibility, empathy toward caring for another being, it improves balance and core strength and emphasizes teamwork and sportsmanship. We teach with smiles and positive reinforcement with both our horses and our students, and love to watch their confidence rise with that feeling of accomplishment that comes from achieving small goals every day. We realize that all students progress at different levels, and we adjust our lesson plans accordingly. Our students learn to groom and tack up their own horses, as well as put them away after their lessons. It makes for a better understanding of the horses and teaches our riders the proper care and responsibility for animals. We have indoor and outdoor arenas for year round riding, and our fabulous lesson horses are safe and suitable for all levels and sizes of riders. Cottonwood Creek’s experienced and accomplished instructors are the perfect mentors for advancing the abilities of any age or level of rider. We also offer SUMMER HORSE CAMPS! Click here to learn more! We have students that travel from Oklahoma City, Guthrie, Edmond, Stillwater, Piedmont, Arcadia, Cashion, The Village, Moore, Norman, Tulsa, Jenks and Nichols Hills. We even have out of state riders and drivers at our highest levels. Whether you’re a first time rider or an accomplished equestrian polishing up for your next World Champion, Cottonwood Creek Ranch has the expertise to guide you toward your goals. TIMES: Lesson times are available during the week and on Saturday in the afternoon. CANCELLATION POLICY: Please cancel your riding lesson at least 24 hours in advance for credit toward a new lesson date (no refunds). Exceptions in emergency cases or inclement weather. All students must wear sturdy boots or sneakers and long pants. NO RIDER WILL BE ALLOWED TO RIDE IN SHORTS, CAPRIS, OR SANDALS. We do provide helmets if you do not personally own one that is approved for equine sports. Average 4 riders per group. *Show rider lessons are instructed by Kelly or Kurt, or by Melissa Swain when Kelly and Kurt are unavailable. Horses In Training includes four “wild card” lessons per month to be used as group or private lessons, and lesson times are based on what each horse/rider combination requires for optimal performance. Ages 3-5 Years, 20 minutes per lesson, private lesson only. For general riding or driving information, call Assistant Trainer/Instructor Melissa Swain at 405-888-0287. 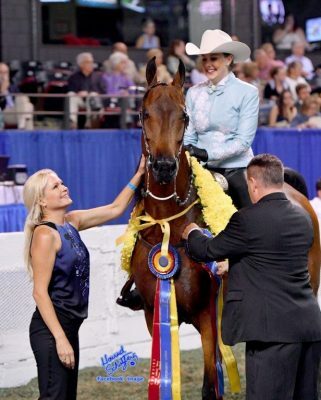 For Academy Riding Program information, contact our Academy Instructor Lauren Marsh at 405-888-7379. We are currently accepting students of all ages. Whether you’d just like to experience the world from the back of a horse, or you’re interested in dipping your toe into competition through our Academy program, we’re here to help!